Michael is the manager of Mazzarella Auto Sales and is brother to owner Chris Mazzarella. He is a University of Florida graduate with a Bachelor in Business Agricultural and a Minor in Golf & Sports Turf Management. 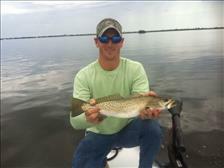 He graduated from Vero Beach High School in 2003 and then moved to Gainesville to finish school. After college he moved to Orlando where he worked as a golf course superintendent at a PGA Qualifiers Course. He enjoys surfing, golfing, fishing, soccer, and is an active boxer. Mike loves spending time with his wife and son Noah! Joey was raised in South Florida. 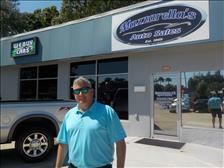 He may be new to Mazzarella's Auto Sales but he's been in automotive sales for over 20 years. His dedication to customers and filling their needs really fits well with the way the Mazzarella's do business. Joey is a husband and father of four and has three grandchildren and one on the way. When Joey and the family are not fishing or surfing, they can be found at one of the Disney World theme parks. Keith is a long time Florida resident recently relocating from Central Florida to the beautiful beaches of the Treasure Coast. 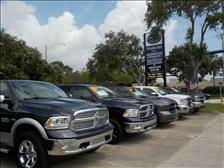 With over 20 years of auto sales experience, his goal is to help find the right vehicle for everyone. Customer satisfaction is his #1 goal. He spends his spare time with his wife, JoAyn, his 4 kids and 4 grand-kids. 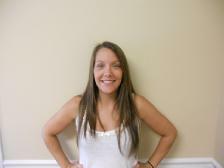 Originally from New York, Kristal has been with the company for the past 9 years. Kristal received her Bachelor's degree at IRSC. She is currently a happy newlywed with her husband Ben and they are parents to two little boys.